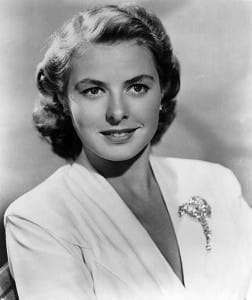 Ingrid Bergman was born in Stockholm, Sweden, on August 29, 1915. The woman who would be one of the top stars in Hollywood in the 1940s had decided to become an actress after finishing her formal schooling. She had had a taste of acting at age 17 when she played an uncredited role of a girl standing in line in the Swedish film “Landskamp” (1932) in 1932 – not much of a beginning for a girl who would be known as “Sweden’s illustrious gift to Hollywood.” Her parents died when she was just a girl and the uncle she lived with didn’t want to stand in the way of Ingrid’s dream. The next year she enrolled in the Swedish Royal Theatre but decided that stage acting was not for her. It would be three more years before she would have another chance at a film. When she did, it was more than just a bit part. The film in question was “Munkbrogreven” (1935), where she had a speaking part as Elsa Edlund. After several films that year that established her as a class actress, Ingrid appeared in “Intermezzo” (1936) as Anita Hoffman. Luckily for her, American producer David O. Selznick saw it and sent a representative from Selznick International Pictures to gain rights to the story and have Ingrid signed to a contract. Once signed, she came to California and starred in United Artists’ 1939 remake of her 1936 film, “Intermezzo: A Love Story” (1939), reprising her original role. The film was a hit and so was Ingrid. Her beauty was unlike anything the movie industry had seen before and her acting was superb. Hollywood was about to find out that they had the most versatile actress the industry had ever seen. Here was a woman who truly cared about the craft she represented. The public fell in love with her. 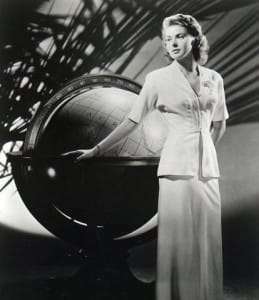 Ingrid was under contract to go back to Sweden to film “En enda natt” (1939) in 1939 and “Juninatten” (1940) in 1940. Back in the US she appeared in three films, all well-received. She made only one film in 1942, but it was the classic “Casablanca” (1942) opposite the great Humphrey Bogart. Ingrid was choosing her roles well. In 1943 she was nominated for an Academy Award for her role in “For Whom the Bell Tolls” (1943), the only film she made that year. The critics and public didn’t forget her when she made “Gaslight” (1944) the following year–her role of Paula Alquist got her the Oscar for Best Actress. 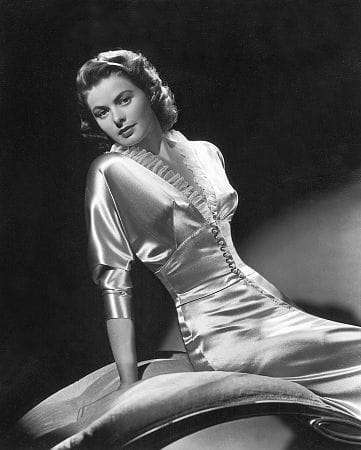 In 1945 Ingrid played in “Spellbound” (1945), “Saratoga Trunk” (1945) and “The Bells of St. Mary’s” (1945), for which she received her third Oscar nomination for her role of Sister Benedict. She made no films in 1947, but bounced back with a fourth nomination for “Joan of Arc” (1948). In 1949 she went to Italy to film “Stromboli” (1950), directed by Roberto Rossellini. She fell in love with him and left her husband, Dr. Peter Lindstrom, and daughter, Pia LindstrÃ¶m. America’s “moral guardians” in the press and the pulpits were outraged. She was pregnant and decided to remain in Italy, where her son was born. In 1952 Ingrid had twins, Isotta and Isabella Rossellini, who became an outstanding actress in her own right, as did Pia. Ingrid continued to make films in Italy and finally returned to Hollywood in 1956 in the title role in “Anastasia” (1956), which was filmed in England. For this she won her second Academy Award. She had scarcely missed a beat. 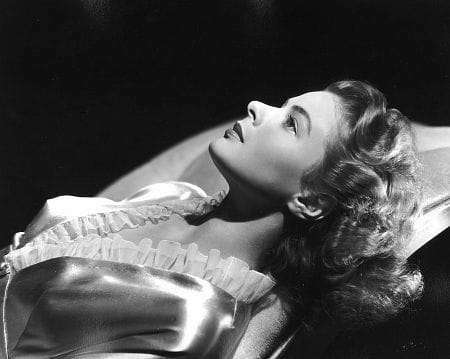 Ingrid continued to bounce between Europe and the US making movies, and fine ones at that. A film with Ingrid Bergman was sure to be a quality production. In her final big-screen performance in 1978’s “HÃ¶stsonaten” (1978) she had her final Academy Award nomination. Though she didn’t win, many felt it was the most sterling performance of her career. Ingrid retired, but not before she gave an outstanding performance in the mini-series “A Woman Called Golda” (1982) (TV), a film about Israeli prime minister Golda Meir. For this she won an Emmy Award as Best Actress, but, unfortunately, she didn’t live to see the fruits of her labor. Ingrid died from cancer on August 30, 1982, the day after her 67th birthday, in London, England. Her famous love affair with the war photographer, Robert Capa was the basis for Alfred Hitchcock’s “Rear Window” (1954). During the making of “Casablanca” (1942), Humphrey Bogart’s wife Mayo Methot continually accused him of having an affair with Bergman, often confronting him in his dressing room before a shot. Bogart would come onto the set in a rage. Swedes are very proud of Bergman. They even have “Ingrid Bergman Square” with a statue of the screen goddess looking out over the water to her former home. Her ashes were scattered over the sea nearby. Received a fan letter from James Stewart on his way to combat duty for World War II (1943). One day at the studio she hooked bumpers with another car. A studio policeman found her tugging and heaving with all her might. The policeman said, “Darndest thing I ever saw. First film star I ever knew that didn’t mind getting her hands dirty”. Enjoyed working with Gary Cooper, for she did not have to take off her shoes.